In line with our process of being on the ground in the countries we invest in, Senior Investment Analyst Ruchir Desai travelled to Sri Lanka in May to attend an investor conference. All photos are by Asia Frontier Capital, except where noted otherwise. It was time to head back again to Colombo for an annual conference which we have been attending every year since 2014 and as has become the norm, the conference was held at the Cinnamon Grand hotel. Most of the five-star hotels in Colombo have been operating for the past few decades and there was not much competition for them until very recently. This has now changed with the opening of the Shangri-La Hotel on Galle Face marking the entry of new modern five-star hotels into Colombo with more to follow with brands such as Sheraton, ITC, and the Ritz Carlton expected to set up over the next few years. 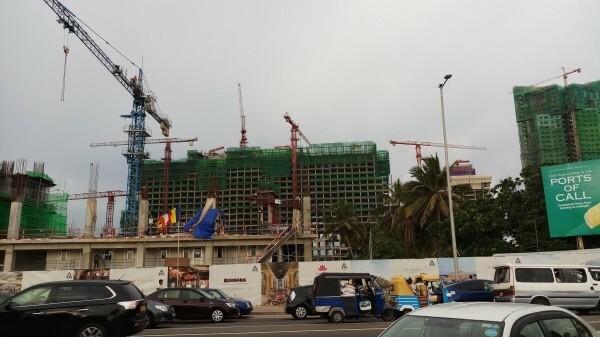 The Shangri-La hotel is part of a larger mixed used development named One Galle Face which consists of the hotel, residential and office towers and a mall. 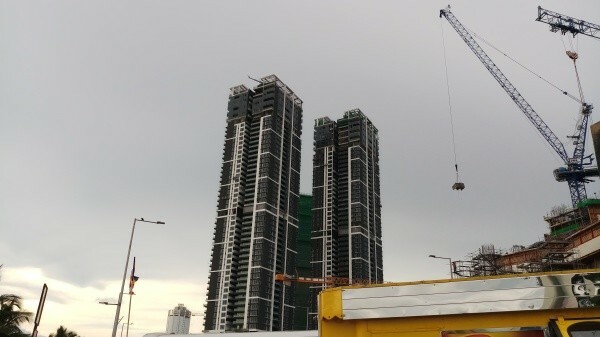 Adjacent to the Shangri-La’s One Galle Face is another development being carried out by India’s ITC group named Colombo One which consists of a five-star hotel and a residential tower. The skyline of Colombo continues to change compared to my first visit there in 2014 and this will continue to change as besides the Shangri-La and ITC developments, John Keells Holdings which is the second largest listing on the Colombo Stock Exchange by market capitalisation is constructing the Cinnamon Life Integrated Resort complex which consists of a five-star hotel, a mall, and residential and office towers. The new upcoming malls by both Shangri-La and John Keells Holdings will add a lot of life to the country’s retail sector as such large-scale modern retail formats were still missing in Sri Lanka relative to some of the other markets in the region. These mixed used developments are expected to be a long-term positive for the Sri Lankan tourism industry which appears to have a lot of room to grow. Tourist arrivals reached 2.1 million in 2017, still lagging other tourist heavy countries such as Cambodia, Vietnam, and Thailand which attracted 5.6 million, 12.9 million, and 35.4 million tourists in 2017, respectively. Sri Lanka has the location and tourism assets to ramp up its tourism numbers further, and infrastructure improvements are also expected going forward. 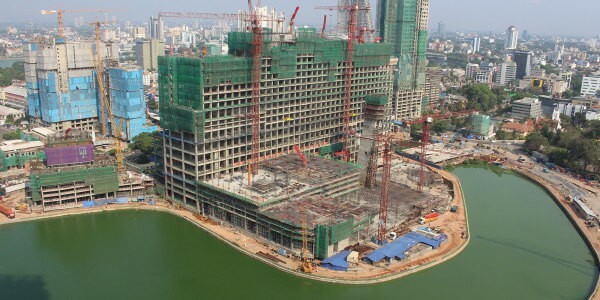 In addition to the upcoming mixed-use developments which will be a positive for the tourism industry, another project which is being developed on a much larger scale is the China-backed Colombo International Financial City (CIFC). 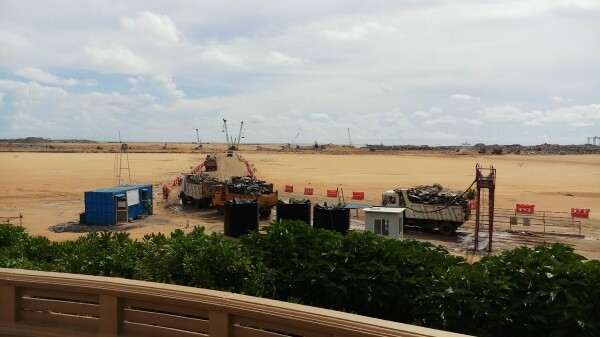 The CIFC is being developed on 269 hectares of reclaimed land just off the famous Galle Face front and though it is early days for this project, it has the potential to change the look and feel of Colombo and also provide a big push to economic growth. The CIFC is being modelled on the lines of other financial centres such as Hong Kong, Singapore, and Dubai with all the additions of modern offices, residential, retail and hotel space. 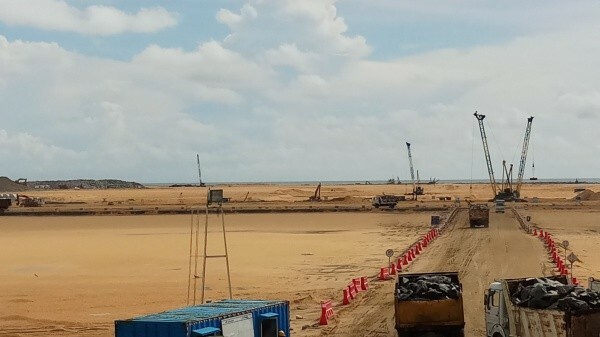 The economic partnership agreements that Sri Lanka has signed with India and Singapore as well as the potential for a free trade agreement with China, can all help the CIFC project gain momentum as these trade agreements could motivate businesses to move to the CIFC in order to take advantage of preferential trade with multiple countries from a single location. Sri Lanka has also attained greater macro stabilty compared to my visit a year ago as it has strengthened its foreign reserves positon after the IMF agreement, while it has also brought about further reforms by introducing a new tax bill and recently introduced a new fuel pricing formula. However, GDP growth last year was well below its potental due to one off weather related issues which impacted agricultural output and rural consumer incomes. With agricultural output expected to improve this year, economic growth rates should stabilise in 2018. The recent local elections which were held in February 2018 saw the party of the former president, Mahinda Rajapaksa, win the most number of votes and seats in a setback to the currrent ruling coaliton partners. With presidential elections expected to take place at the end of 2019, the contest, it seems, could be hard fought and close given the inroads the former president’s party has made in the local elections. Economics and politics aside, the conference gave me a chance to meet with a range of companies as well as meet with some companies outside of the conference. One of the interesting companies that I met with and which is now the largest Sri Lankan holding of the AFC Asia Frontier Fund is a telecom company with the largest market share in the mobile telecom segment, Dialog Axiata., The company is seeing high growth in its data and broadband business due to increasing smart phone penetration and greater network coverage. It trades at a steep discount to regional peers and is significantly more efficient than its closest competitor, Sri Lanka Telecom. The company is expected to benefit from ongoing consoldation in the Sri Lankan telecom industry and its data and broadband revenues increased by 34% and 39% YoY in the most recent quarter. Recently, however, there have been some regulatory changes which have impacted sentiment with respect to its stock price. In last year’s budget, the government proposed a telecom tower tax on tower operators and this tax is expected to be implemented, but in a more toned-downed fashion which will impact the company’s net profits by about 3%, which is not severe. The telecom regulator also plans to do away with price floors for mobile voice calls which has led to a fear that there could be much higher price competition amongst telecom operators in the voice business. However, only two players, Dialog Axiata and Mobitel (part of the state owned Sri Lanka Telecom) are profitable and each holds the first and second position in terms of subscriber market share, so any sustained price war in voice services is debatable while growth is being driven by data and fixed broadband which are Dialog Axiata’s strong points given its network coverage. Sri Lanka has the location and the assets to take its economy forward and with ongoing developments, both in the tourism sector as well as to promote further trade and investment, the country appears to be moving in the right direction despite the political noise. Colombo most likely will look like a different place five to ten years from now. The current uncertainty across frontier and emerging markets has also made valuations more attractive with the Colombo Stock Exchange All Share Index trading at a trailing twelve-month P/E of 10x which provides bottom up opportunities to find value in sectors like banks, telecom, and diversified conglomerates where the leaders in these sectors have displayed consistent earnings growth over the long run along with stable management teams.